Publisher's Note: I met Bill and his late wife Nelda some 29 years ago when I became an AFAS member. I was quite young and somewhat inexperienced and he was already an "institution" in the society. I very much enjoyed his council and our friendship over the subsequent years. I always enjoyed talking with Nelda because we were polar extremes on the political spectrum and rather than cause discord, this polarity became the source of many intense...and great fun... conversations. I will never forget talking with Bill years ago in which Nelda came up in the conversation almost as an aside (which in of itself seems impossible, Nelda was never an aside) and I told Bill that I loved Nelda's backbone. Bill answered in his mild Texan drawl "ya, she's tougher than a blue plate special at the diner" . I have missed them both: Nelda since she passed away a number of years ago and Bill since he stopped attending the shows. A positive contributor and friend to the Society. A founding member of the Automotive Fine Arts Society and long-time board member, Bill Neale is as much a treasure as the masterful paintings that are the centerpieces of collections worldwide. Over the years, he has earned awards and accolades at shows such as Pebble Beach, Amelia Island and John Barnes’ Cavallino Classic. And more importantly, he earned friendships with everyone who met him. The key to Bill’s work was always his ability to paint a subject in the medium which best captures its spirit. Most artists typically paint in only one medium, but Bill was equally skilled with watercolor, acrylic and oil paint throughout his career. Bill has always attributed his love of watercolors to instructors Martha Axley and Cal Compton, who taught him to master the medium. He rarely painted a background, and this sparse style heightens the emotions wrung out in each work. 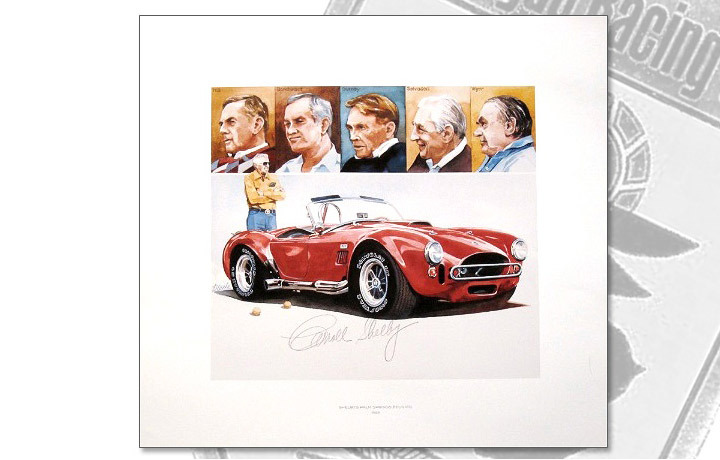 Bill has often been recognized for his close friendship with legends like Carroll Shelby, Dan Gurney and Jim Hall. 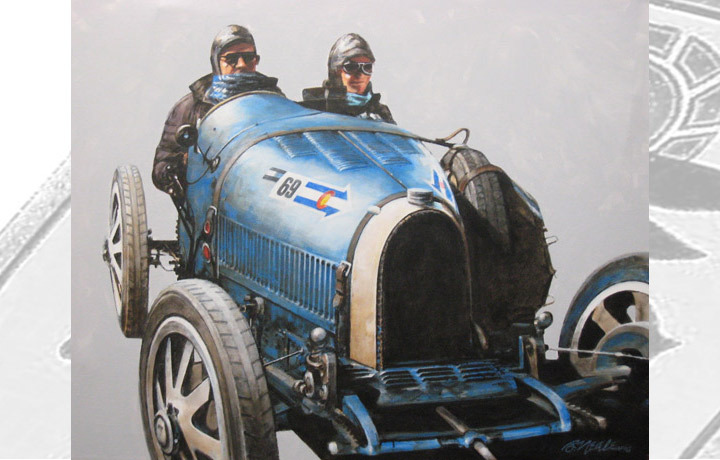 His brilliant illustrations of those legends and their automotive creations have been among his most popular pieces. His credits cover a wide range of automobile events which include Cavallino, Road & Track, Automobile Magazine, Car&Driver, Sports Illustrated and others. But he is best known for his beautiful private commissions of cars ranging from old Ferraris to the newest models out of Munich, Detroit and Tokyo. Those commissions include posters for Automobile Concours d' Elegance and events such as the Monterey Historic Races, The San Diego Concours, Houston Classi-Chassis, Jim Hall Chaparral Museum and Carroll Shelby Nationals. He served as a poster artist for the Colorado Grand Rally, and was even named the first ever Grand Marshal for the event. Neale’s work has won numerous accolades in the U.S., Europe and South America including the prestigious Peter Helck and Athena awards. But there have been many facets to Bill’s story. Many do not know that he was quite the entrepreneur over the years, too. He joined Tracey-Locke Advertising Agency in 1953 as a staff artist and illustrator. Bill then worked his way up to managing art director and along the way received numerous awards for his work in Dallas, Denver, New York, LA and Paris, France. 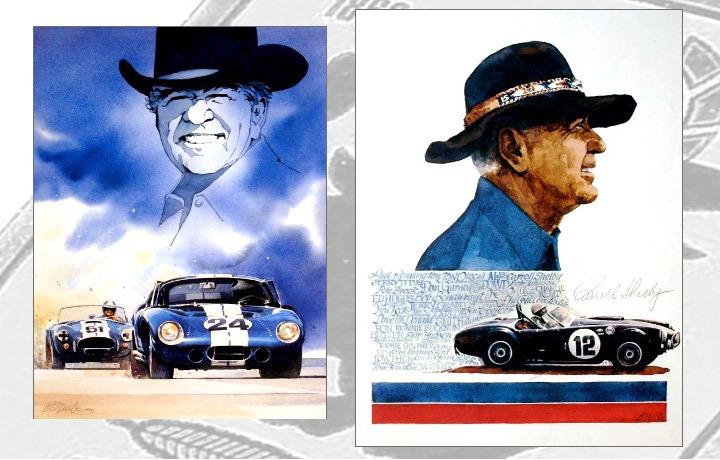 Bill established Point Communications, a PR and advertising agency, in 1970 and managed accounts such as Carroll Shelby Racing, the Dallas Grand Prix, Bondurant Driving School, the S.C.C.A. and Dodge Pro Shelby Series. As interesting as his business pursuits may have been, Bill had a far more colorful (and fun) aspect to his life. In 1964, Ford launched its new Mustang and was intent on getting the pony into the driveways of consumers. 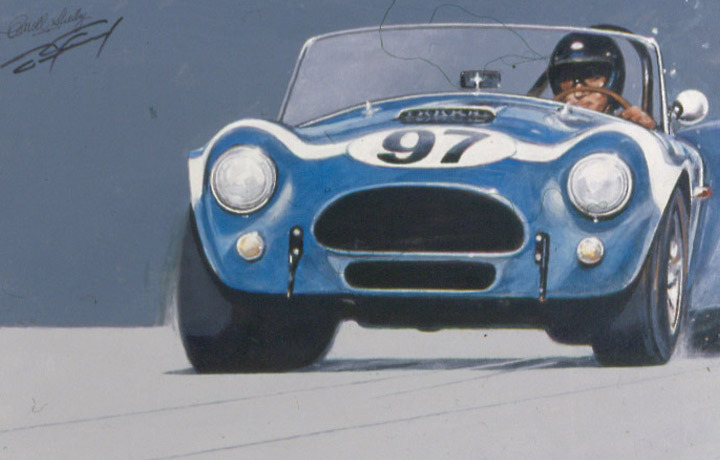 To that end, Lee Iacocca asked Carroll Shelby to make the car a race winner. He created a competition version called the “R” model Mustang for that purpose. About that time, Shelby and a few close friends including Bill Neale, as well as Dave Witts, Tom Tierney and David E. Davis, Jr., were spending time in the Terlingua area of South Texas. While developing the property, they decided to do some good for the community with a boy's school and the world famous Terlingua Chili Cook-off. Neale designed a logo for the group's efforts that is black and yellow, with a rabbit holding his paw in the air. In 2007, Shelby explained, “I thought it would be a perfect racing team logo and put it on some of the GT350-R models I was developing. That logo appeared on the 1967 Jerry Titus car, which he raced for the Shelby team in the Trans-Am series. It was one of the first cars that Shelby asked Neale to design graphics for during that period. 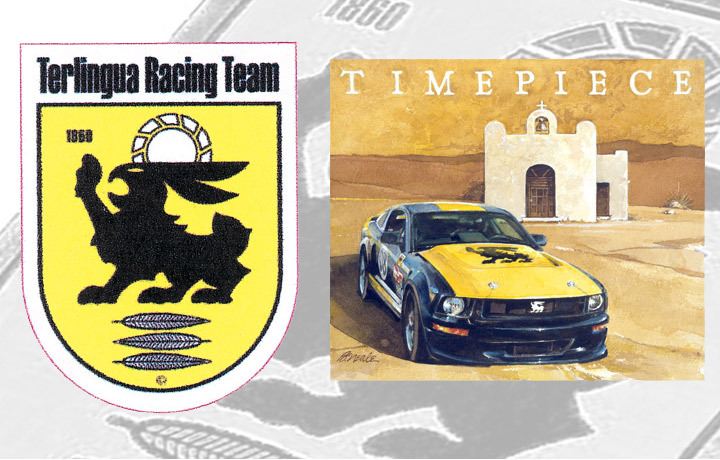 Throughout the late 1960's, Terlingua Racing Team badges appeared on more and more cars; some were official Shelby entrants while many were not. Neither Neale nor Shelby minded because it just fueled the mystique. 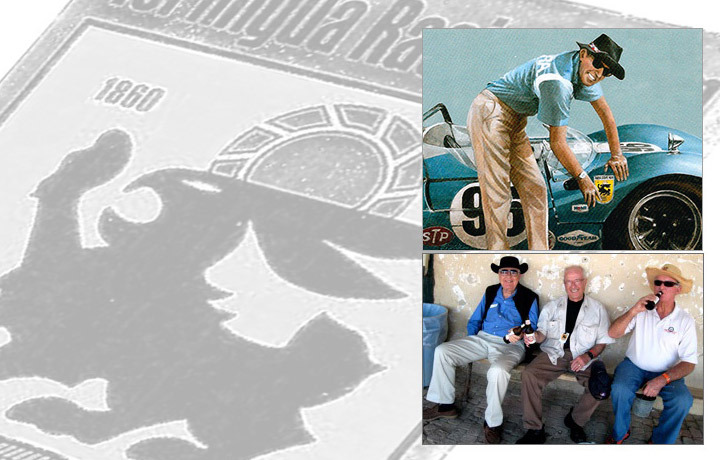 By the early 70's, racing had moved upscale and the Terlingua Racing Team was gone. The legendary parties and chili cookoffs that the group started lived on and continue to be enjoyed today. 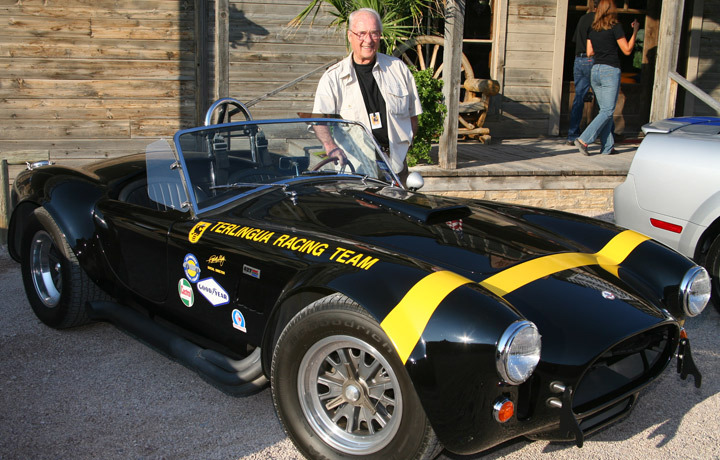 Bill later became actively involved with performance cars again as a partner in Texas Cobras Ltd., a dealer for Shelby's CSX4000 427 Cobra. 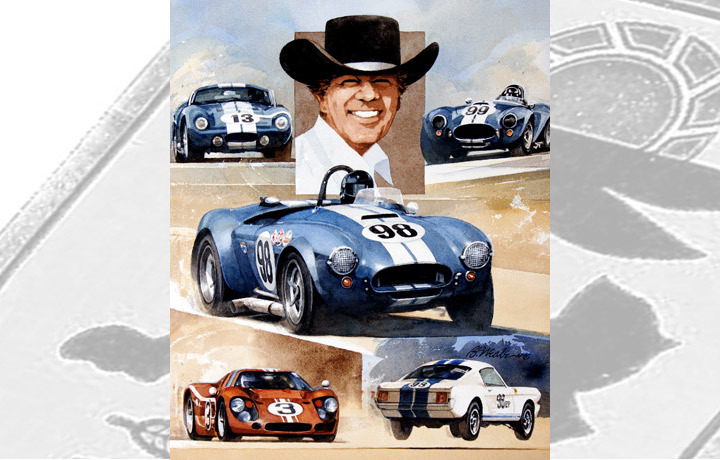 He also worked with Carroll’s company to release a line of Terlingua Special edition Cobras and Shelbys based on the Ford Mustang that he personally designed with Shelby’s approval. Today though, Bill has moved out of the fast lane. 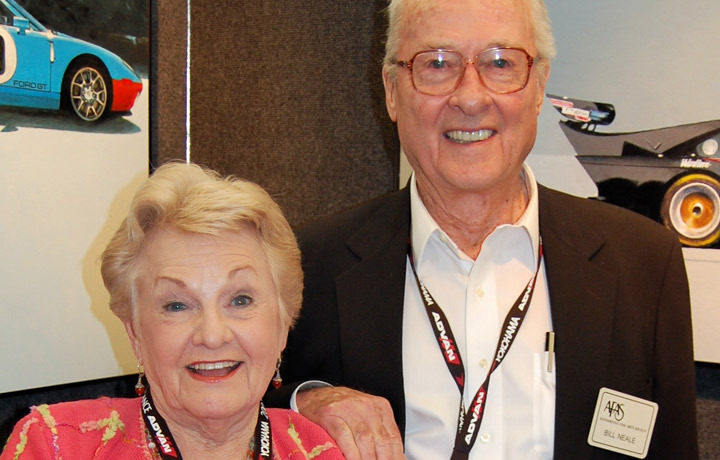 At 93 years old, he no longer displays his works at the Pebble Beach Concours AFAS show. While he only creates a couple of paintings each year. Bill still enjoys talking about automotive art, fine cigars, cool jazz or classic cars with his legions of friends and fans. 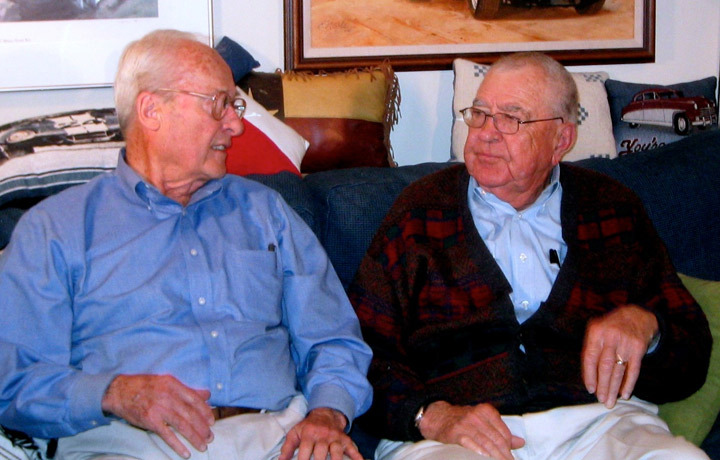 “Bill Neale was critical to the formation and evolution of AFAS,” said Ken Eberts, president of the group.